Here’s some final mother-in-law advice: Another way to forge a good relationship is to have fun together, starting at your wedding! 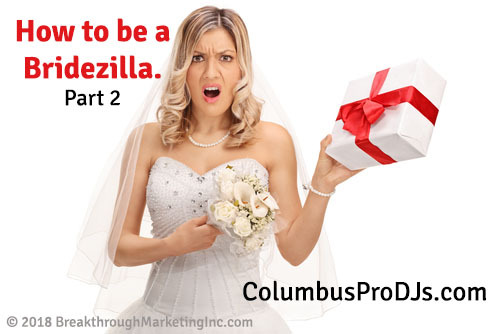 Columbus Pro DJs are wedding reception specialists who will pack your dance floor and unite your party in a spirit of fun. Learn more today without obligation.